Monster Energy AMA Supercross has been called by some the most physically demanding sport in existence. Supercross is an off-road motorcycle racing competition that takes place on a man made surface that includes arenas and tracks. At Monster Energy Supercross, some of the most talented international athletes have been invited to race. If you enjoy watching Supercross, then get ready because the Monster Energy Supercross event will be taking place on Saturday, April 18th at the Levi’s Stadium located at 4900 Marie P. DeBartolo Way, Santa Clara. Doors open at 12pm and the practice and qualifying events will take place at 12pm as well. The main event will begin at 7pm. Tickets range in price depending on the location of your seat. VIP tickets are available for $90, tickets located at P2 are $65, tickets located at P3 are $55, tickets located at P4 are $45, tickets located at P5 are $35, and tickets located at P6 are $20. The Monster Energy AMA Supercross is an event that will get your adrenaline pumping as you cheer on your favorite Supercross riders. At this point in time, some of the most renowned athletes in Supercross include Ryan Dungey, Trey Canard, Justin Barcia, Ken Roczen, Davi Millsaps, and Chad Reep. Some emerging stars that you should keep an eye out for include Eli Tomac, Dean Wilson, and Jason Anderson. Similar to NASCAR’s “big four”, supercross also has a “big six” when it comes to major manufacturers that prove motorcycles on the track. These major companies include Honda, Kawasaki, KTM, Husqvarna, Suzuki, and Yamaha. Within these brands, there are different types of motorcycles that the athletes use. There is the 250cc four-stroke and 450cc four-stroke as well as the 125cc two-stroke and 250cc two-stroke – the latter being heavier and faster while the former being lighter and quicker out of turns. Each rider has their own preferred type of bike to compete with. 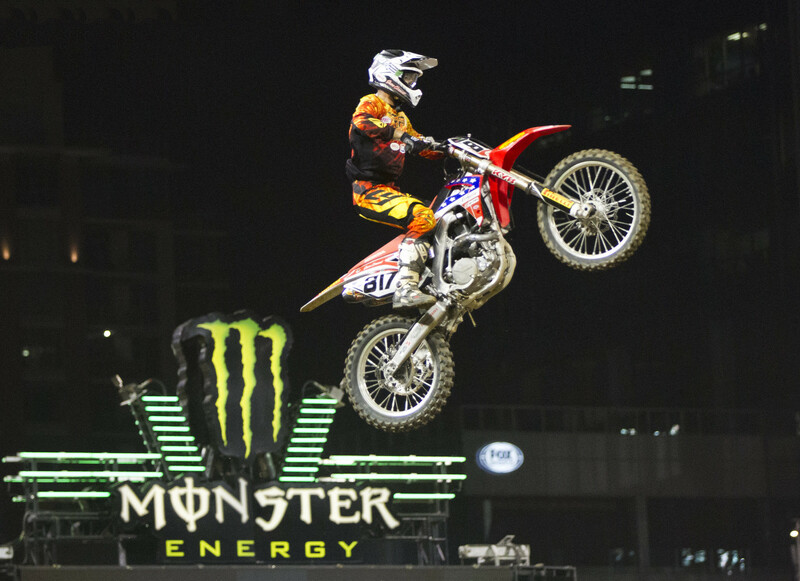 If your going to be staying in one of the hotels near Levis Stadium and you want a night filled with action and adrenaline get your tickets to the Monster Energy AMA Supercross event today!